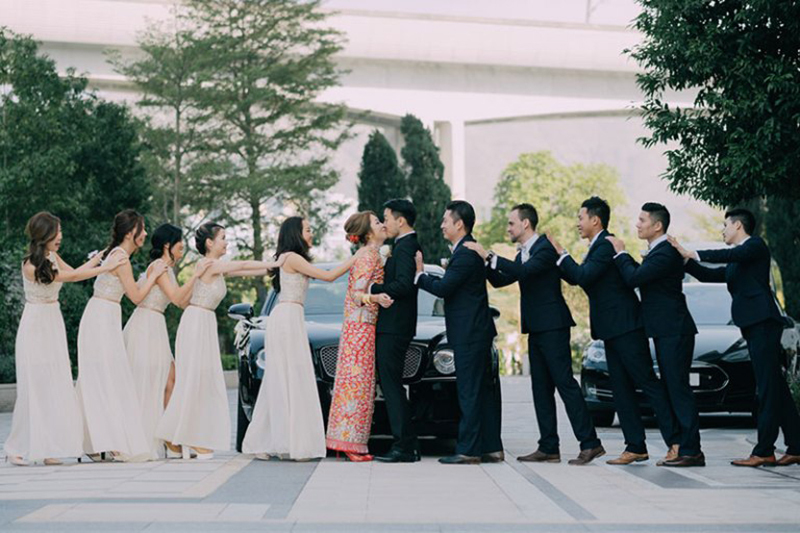 Chinese wedding traditions make up an important part of a couple’s whole journey towards their Big Day. Each and every custom is full of meaning and keeps the rich culture of the family alive as it’s passed on generation after generation. 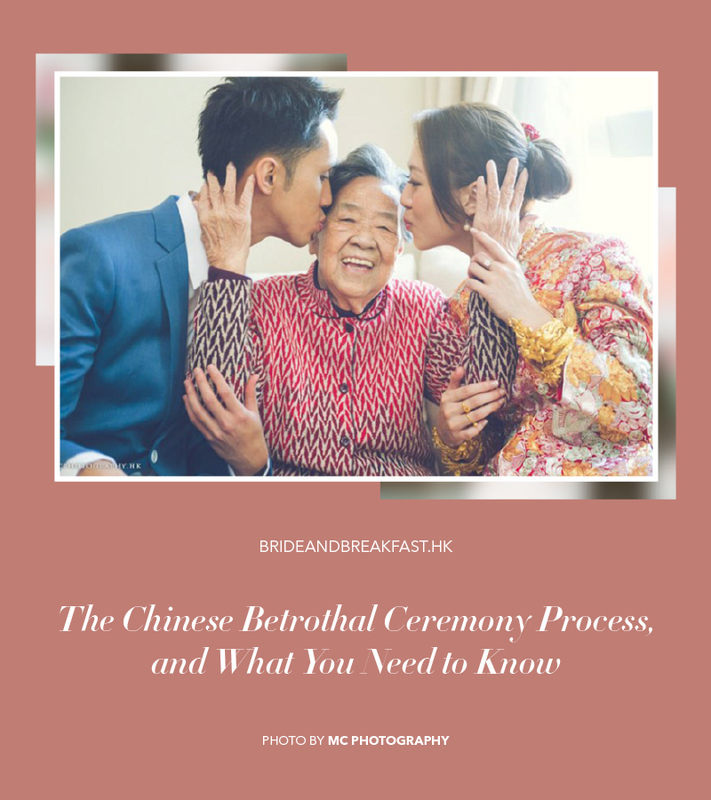 The Chinese betrothal ceremony is a tradition that opens the couple’s journey because it includes the formal act of proposal by the groom, and acceptance by the bride and her family. Here’s what you need to know about this important ceremony. The Guo Da Li (過大禮) usually takes place between fifteen and twenty days before the wedding. The groom’s family first selects an auspicious date for the ceremony. 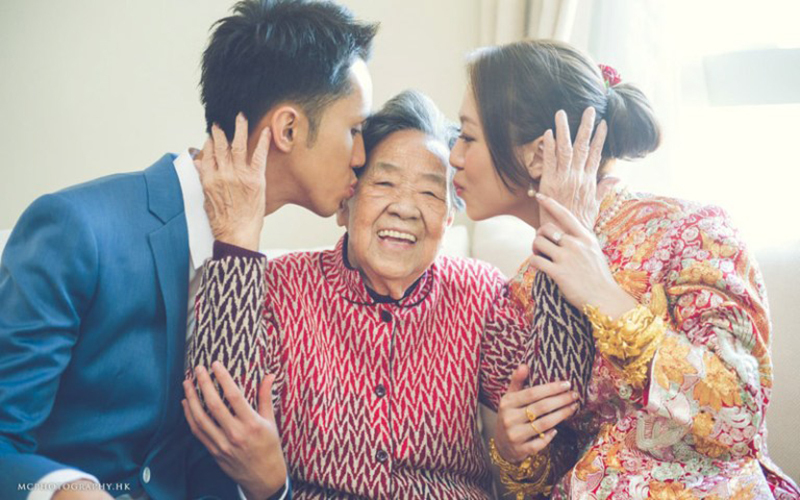 On this day he, along with his family, will go to the bride’s place to present the bride’s gifts, also commonly known as Pin Jin (聘金/ 禮金), and betrothal gifts. Upon arriving at the bride’s house, the groom enters with the gifts while his family and other relatives wait outside until the ceremony finishes. The groom expresses his intentions for the bride to her parents and presents the gifts he has at hand. This gesture symbolizes the groom’s sincerity about marrying the bride and his gifts represent that he is well-capable of and serious about taking care of the bride. While this is happening, the bride remains in her room and waits until the ceremony is over to keep the good fortune. As an act of acceptance, the bride’s parents will return some of the Pin Jin and gifts to the groom. This is known as Hui Li (回禮). The conclusion of the Hui Li marks the end of the ceremony. The groom will emerge from the bride’s house and head home with his family. With the completion of the betrothal ceremony, the couple can formally announce their engagement by sending out their invitations. Here is a step-by-step guide for the Guo Da Li and Hui Li. Make sure the gifts are all prepared. Bring them to the bride’s home. 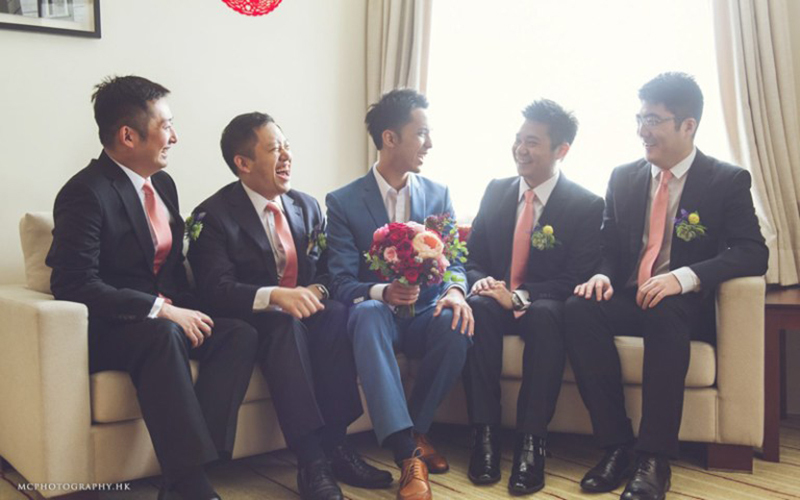 The groom’s team can include groomsmen and his relatives, usually an even number. The bride’s parents and relatives can wait at bride’s home. A Chinese Wedding Master(大妗姐), a person who officiates the ceremony, will be responsible for opening the gifts and presenting them to the bride’s family. When the groom’s team arrives, the bride’s parents will come out to the door to receive the Pin Jin or cash gift laisee first. Then everyone will go into the house. The master will give all the betrothal wishes and blessings to the bride while he or she is handing the gifts to the bride. The bride’s side returns a set of gifts to the groom’s side. This concludes the ceremony. 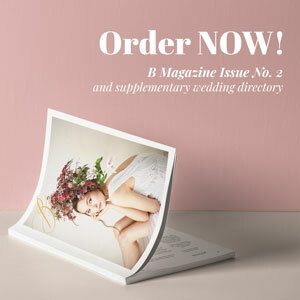 Traditionally, the bride and groom cannot join this ceremony, but nowadays, couples want to be part of this ceremony. So the groom can enter the bride’s home at last, and the bride can wait inside her room until everything is done. The point above also applies to both the bride’s and the groom’s parents. They can stay outside or in the room until the ceremony is done. Discuss the gift list with both sides of parents in advance. The betrothal ceremony is very important to them as this is the Chinese engagement. Make sure to check with them and see how much they want to follow the traditions. 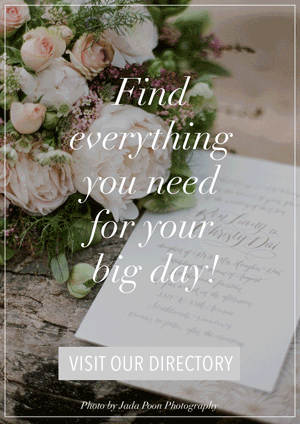 Check when you should hold the ceremony. 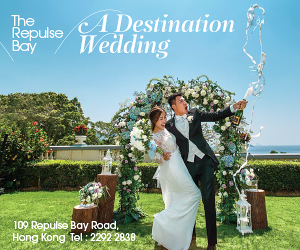 Other than it’s usually held 14 to 60 days before the actual wedding day, it’s best to check the lucky date and time according to the Chinese calendar. If you are not hiring a Chinese wedding master, the ceremony may be conducted by one of the groom’s relatives with ‘good fortune’. He or she will lead the gift presentation. Some Chinese pastry companies offer free rental service of the traditional wooden boxes for all these gifts. As they are limited, try to ask and book in advance. At last, it’s official! And once the betrothal ceremony is done, why not invite everyone for lunch or dinner together? This is a good time for family to start bonding! 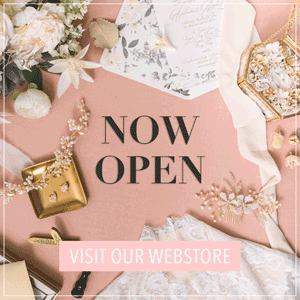 To read about the list of gifts for the betrothal ceremony, click here.